"Some people play golf. I’m in the Legislature.” Rep. Tom Craddick’s tenure in the Texas House will soon reach 50 years. 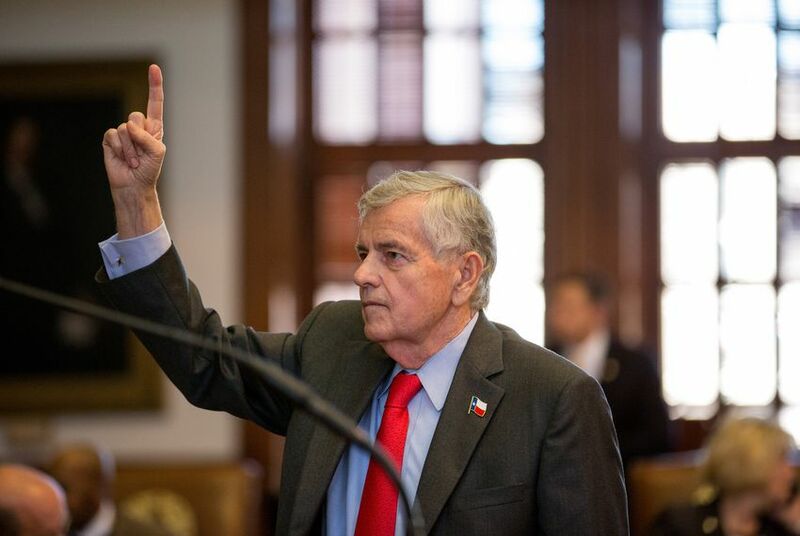 Craddick, who is best known for his iron-fisted grip on the gavel during his six years as speaker of the Texas House, has not lost any interest in serving in the Capitol. 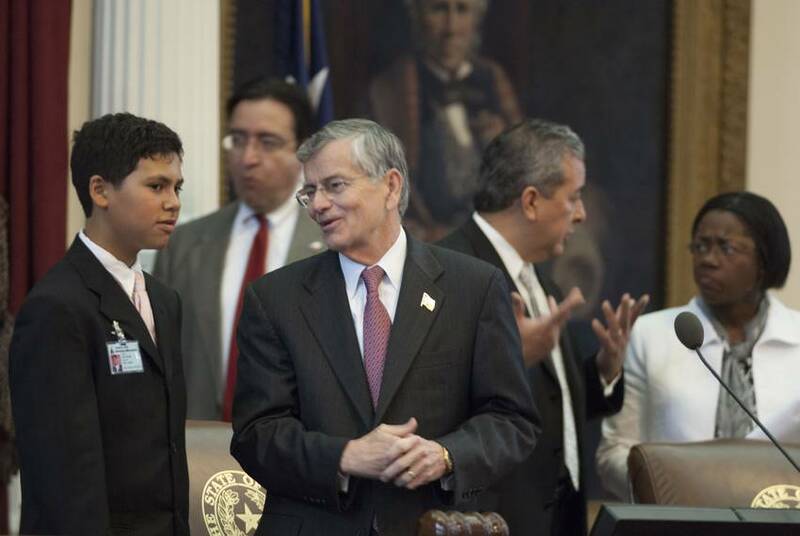 Texas Rep. Tom Craddick already has several firsts to his name. He was the first Republican speaker of the House since Reconstruction. The first GOP committee chairman in a century. 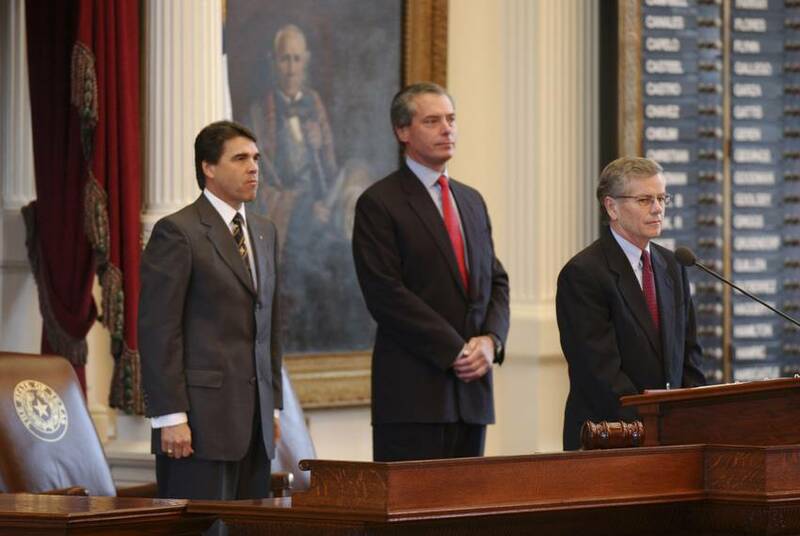 And the longest-serving member of the Texas Legislature in history. But after winning his 25th consecutive election this month, the Midland Republican can add a new accomplishment to that list that no one else at the Capitol — and few others around the country — can claim: half a century in office. In the upcoming legislative session, Craddick said, those problems largely consist of a greater need for infrastructure and resources in his five-county district in the Permian Basin, where schools, hospitals and roads have struggled to keep up with growth from an unprecedented drilling boom. Craddick said his long tenure and relationships in the lower chamber help him accomplish what others cannot. “I’ve got the experience, I’ve got the seniority, I know how to work the system well and I know the people,” he said. Since winning the West Texas seat at age 25, Craddick has experienced a lot, including the Legislature's seismic shift from a Democratic majority to a Republican one — in part because of his efforts. And he's been nothing if not persistent. Craddick fashioned himself the unlikely champion of banning texting while driving, a hard sell in a Republican state that emphasizes personal liberty. He proposed legislation on the topic for five sessions straight before Gov. Greg Abbott signed the bill into law in 2017. 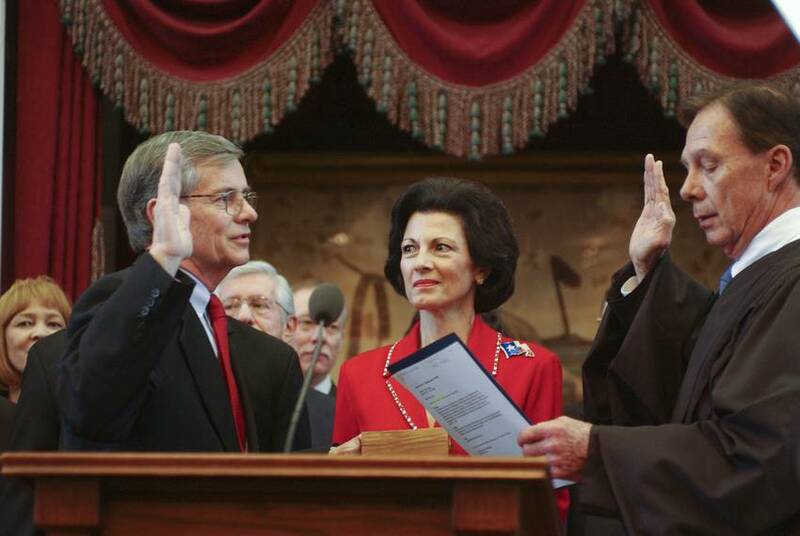 But Craddick is perhaps best known for his iron-fisted grip on the gavel during his six years as speaker of the House. He frequently employed strong-arm techniques: When his colleagues voted against his agenda, he routinely stopped the proceedings and chastised them until they switched their votes. That approach made Craddick effective at leading the first majority-Republican House since Reconstruction, and pushing through major GOP-backed legislation such as tort reform. But it also made him plenty of enemies. In a rapid-fire series of events late in the 2007 legislative session, then-Speaker Craddick nearly avoided overthrow, walking out of the chamber after the abrupt resignation of his parliamentarian and an attempt on the House floor to remove him from his post. At the beginning of the following legislative session, the House replaced him with Joe Straus, a Republican from San Antonio. Some might have hung it up and stepped out of the fray. Instead, Craddick returned to his West Texas seat. When he was first sworn in, Craddick was one of just nine Republicans in the lower chamber, an unmarried man living in a house with seven Democrats. While trying to park his car after being sworn in, the freshman legislator said he had to get his parents to convince an incredulous police officer that the 25-year-old did in fact have access to the Capitol parking lot. Now, he is the most senior member of the House, first in line for committee assignments among the Republicans he helped bring to power. Over his decades in office then in leadership, Craddick funded and coached Republican candidates independent of the state party, chairing seven different political action committees. Warren Chisum, a former Republican state lawmaker from Pampa, said Craddick secured campaign contributions in the tens of thousands of dollars from wealthy oilmen to fund Republicans in competitive statehouse races. That direct, no-nonsense way of getting what he wants has been a hallmark of Craddick's tenure. Before the first day of his first legislative session as speaker, Miller and other members of Craddick’s transition team dragged him onto the House floor to prep his remarks with a teleprompter. After one try with the unfamiliar equipment, Craddick wouldn’t budge. Craddick wrote six words on a piece of paper and delivered his speech the next day. There was no teleprompter in sight. 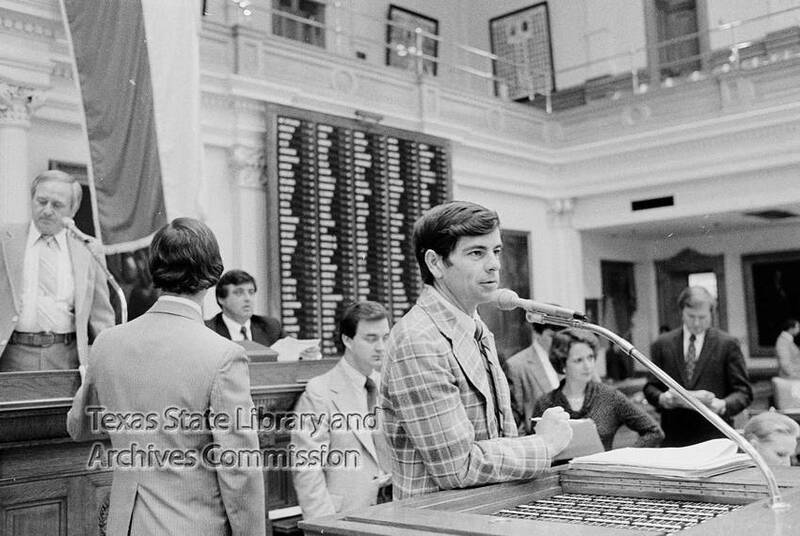 Top, left to right: Craddick on the House floor in 1981; Craddick with Gov. Rick Perry and Lt. Gov. David Dewhurst behind him in June 2003. 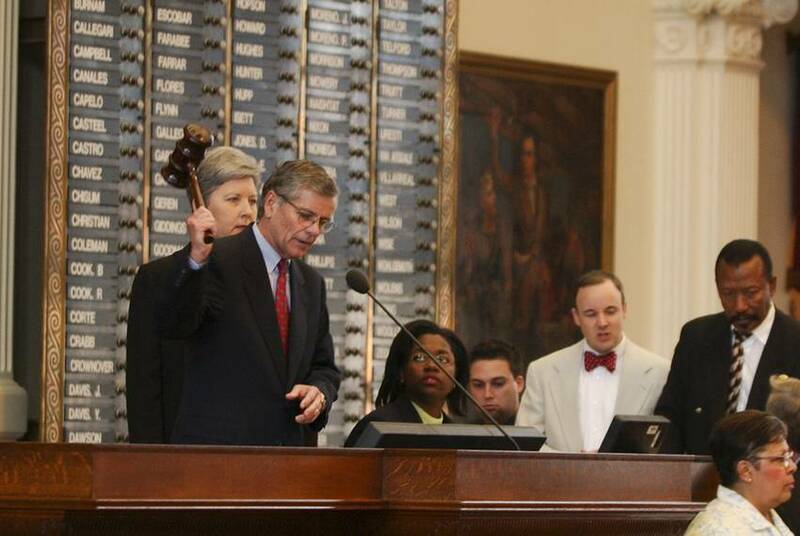 Bottom row: Craddick gavels in, June 2003; Craddick during the last days of the 2007 session. 1981 photo: Texas State Library and Archives Commission. All others: Bob Daemmrich.